We would like to thank our 2018-2019 Corporate Sponsors for investing in our Hornet athletic program! We are happy to have you as a partner in our championship efforts! The CESPC Nativity Play was a huge success! The CESPC Drama, Choir, & Art Clubs created a magical night. We are proud of all of our Hornets for bringing the story of the Nativity to life in front of a sold out crowd! We look forward to making this event a tradition for years to come. Special thanks goes to Ms. Sydney, Ms. Cristal, & Ms. Wendy for all of their time and talent that they pour into the students. 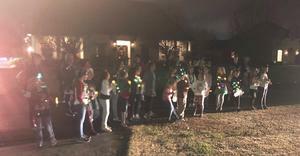 CESPC Choir entertains Major’s subdivision with Christmas caroling! 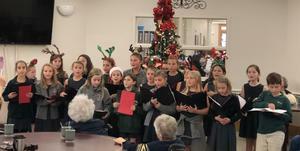 CESPC Choir performs for the residents at Pointe Coupee Healthcare! Presented by the CESPC Drama Club, Choir Club, and Art Club! I hope you’re all doing excellent. I want to take this time to inform you about a fundraiser called Math-A-Thon. I totally understand that you are flooded with busy schedules this time of year, but I am asking you to use your resources and help support St. Jude Children’s Hospital. Most fundraisers we put on benefit our kids and our school. This is a fantastic opportunity to teach our kids about giving back. I ask you to please extend your prayers and use your contacts to help. CESPC will participate in the St. Jude Math-A-Thon. This fundraiser will not only help our students advance their math skills but also help St. Jude’s children and their families. All money raised will be donated to help patients and their families for the duration of their stay at the hospital. Patients at St. Jude’s Hospital never receive a bill! The children’s families are setup with housing, food, and transportation so that they can focus on their kids during treatments. Unlike most organizations, St. Jude is 100% non-profit. These are amazing kids fighting so hard to beat their illnesses. Let’s help them fight! There are close to 400 students in the elementary. We’re asking that you reach out to your family and friends for help. If each student raises just $50, that would give a donation in the amount of $20,000. How AMAZING would that be? Please see the packets sent home with your kid for information and directions. You can also go to mathathon.org and find our school and sign up. We are listed as “Cath Elem School-Pointe Coupee.” Any questions you may have, please contact Lauren Doucet via email provided below. Let’s show these kids our love and support! Hornets have been asking for spirit items! See what the Business Office has in small amounts. 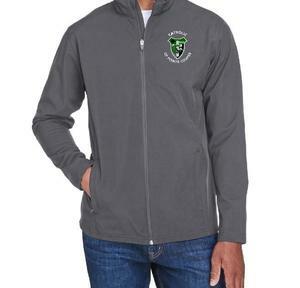 Come by any time to get your items to show your Hornet Pride! GHC t-shirts also. Click on Community then Spirit Items to see full list. GEAUX HORNETS! Thank you and Geaux Hornets!